Sell your iPhone 5S 64GB without the fuss, courtesy of OnRecycle's comparison service. Browse quotations from a variety of mobile phone recyclers and get the most money when selling your iPhone 5S 64GB. Here at OnRecycle, we compare prices and data from major phone recyclers in seconds, so that you can recycle your iPhone 5S 64GB effortlessly. To sell your iPhone 5S 64GB for cash, simply explore our handy comparison table to find the recycler that suits you best. 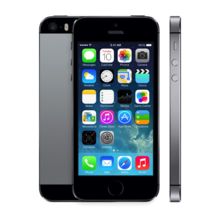 Obtaining iPhone 5S 64GB trade in prices just got easier!